Impact your bottom line and reduce legal risk by understanding innovations in passive water treatment technologies. Not only is passive water treatment more cost effective than active and conventional water treatment, applying these technologies provides mining operators the opportunity to differentiate themselves as leaders in technology, innovation, and sustainability. How to differentiate between historic and modern day mine closure planning approaches for water treatment. How to discuss why mine closure plan should be outlined before opening, and with inclusion of a water treatment strategy. Why a phased approach is now used for site-specific design and implementation. Passive Water Treatment is more cost effective than active and conventional water treatment. Not only that, but a proper design and a phased approach to implementation helps maintain compliance through predictability and robustness. While technologies have advanced significantly over time, the understanding and application of these advancements has generally lagged. Use of old technologies, or lack of understanding of technologies (the old school “black box” approach) pose legal risks. Application of passive water treatment technologies provides mining operations the opportunity to differentiate themselves as leaders in technology, innovation, and sustainability. Moreover, the application of such technologies have the beneficial public perception that the water must be “easy to treat” or “non threatening”. Environmental professionals working for mining operators can impact their bottom line and reduce their legal risk by understanding innovations in passive water treatment technologies. This webinar was recorded in November 2016. Dr. Friesen (Pittet) is a specialist in microbial profiling, with over a decade of experience in genetic sequencing and analysis technologies for microbes such as microbiome, genomic, metagenomic, transcriptomic, and metatranscriptomic methods. 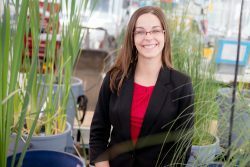 She has merged this expertise with a passion for the outdoors and the environment (supported by her degrees in microbiology and biochemistry), allowing for unique insights into environmental microbial processes that drive remediation efforts. Vanessa is involved in the scientific design, data analysis, and interpretation for client projects. Passionate about operational effectiveness and quality assurance, she also oversees new technology development by Contango’s team of technologists. 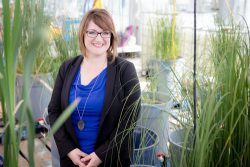 Prior to joining Contango, Dr. Friesen successfully lead a multi-million dollar interdisciplinary, multi-stakeholder technology development program that established novel microbial profiling services which are now being applied at Contango to assess environmental and remediation projects around the world. What webinar topics are you most interested in?